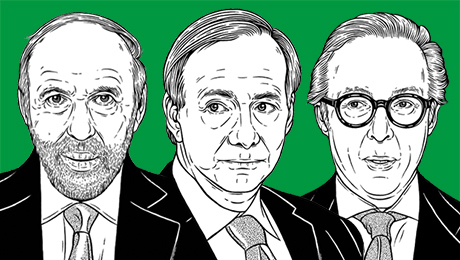 The Renaissance Technologies and Bridgewater Associates founders earned more than $1 billion each last year, despite a drop in earnings for hedge fund managers overall. In the 16th edition of Institutional Investors Alphas Rich List, Renaissance Technologies chairman Jim Simons once again takes home the crown as the highest-earning hedge fund manager. The only man to make the Rich List every single year, Simons topped the list this year after tying for first place the previous year. His firms two main funds, Renaissance Institutional Equities Fund and Renaissance Institutional Diversified Alpha Fund, each earned double-digit returns in 2016. Simons, who is no longer involved in running Renaissance on a day-to-day basis, nevertheless earned $1.6 billion in 2016  $200 million more than runner-up and Bridgewater Associates founder Ray Dalio  between earnings from capital invested in his firms funds and his share of fees, the two components used to calculate the Rich List. Dalios second-place spot was secured after Bridgewaters Pure Alpha and All Weather funds finished the year in the black, with All Weather earning 11.6 percent. The management fees generated by Bridgewaters $122 billion in hedge fund assets didnt hurt. Simons and Dalio were the only managers to earn above $1 billion this year, as hedge fund managers overall earned less. This years top 25 took home a combined $11 billion, the lowest total since 2005, when Rich List members earned $9.4 billion collectively. Two Sigma co-founders John Overdeck and David Siegel tied for third with earnings of $750 million apiece as assets at the quantitative hedge fund surged to $40 billion. Following the duo was Appaloosa Managements David Tepper, who ranked fifth with $700 million in earnings  half of what he made last year, owing to his firms second single-digit return in three years. Citadel CEO Ken Griffin, who last year tied for first with Simons, slid to sixth place after his firms main multistrategy funds, Wellington and Kensington, posted their smallest gain in eight years. Activist Paul Singer was close behind with $590 million in earnings, roughly quadruple what he made last year. His firm, Elliot Management Corp., posted a 13.1 percent gain in its main multistrategy fund in 2016. The top ten was rounded out by Michael Hintze (CQS), David Shaw (D.E. Shaw Group), and Izzy Englander (Millennium Management), who earned $450 million, $415 million, and $410 million, respectively. Hintzes return to the main Rich List for the first time in four years comes after his firms flagship fund posted a 30.5 percent gain last year after losing nearly 8 percent in 2015. Shaw and Englander fared worse in terms of performance ­ D.E. Shaw Groups main multistrategy funds posted some of their smallest gains in years, while Millennium suffered its worst performance since 2008  but still earned above most of their hedge fund peers. 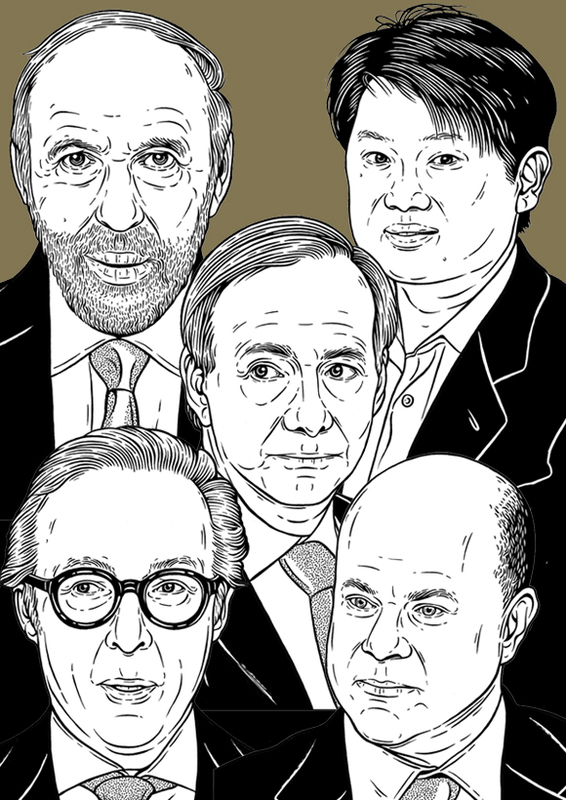 The full 2017 Rich List and the Second Team, together ranking the top 50 hedge fund earners, are available on Alpha.